How Old Do You Have To Be To Play Airsoft Wars? You will be surprised at how young children are allowed to play airsoft wars. In some places, they could play the game with their friends as early as nine years old. But some places never allow children that are younger than 10. In some states, teenagers are allowed in airsoft arenas. The age limits depend on the local laws. Some states have age limits while some do not specify. In general, playing airsoft wars on your own premises is not prohibited. However, you should be careful not to let very small children participate because they are not really aware of their safety needs. For safety reasons, you would not let a child, no matter what age he is, to participate in airsoft wars if he is not aware of his need for safety. He or she should already have that sense of responsibility for himself and towards others. That means the child is already able to take care of himself. He should also be concerned about other people’s safety. The BBs used in airsoft guns can also hurt and if they are used carelessly, they might cause permanent damage to another person. Therefore, the overarching rule is that you don’t allow a kid to use an airsoft gun until he is responsible enough to handle its powers. It doesn’t matter how old he is. Even if he’s already 12 and still does not act responsible enough, he should not be allowed to play airsoft wars. 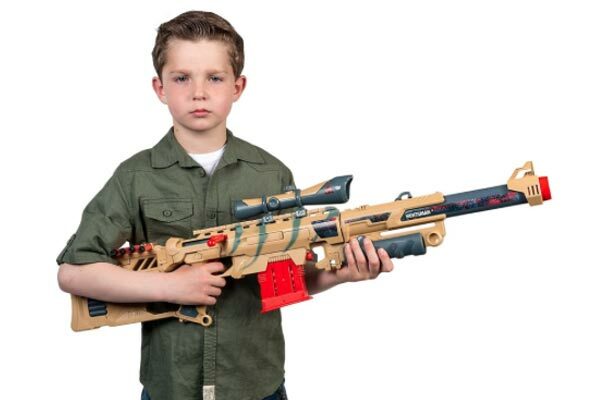 What’s The Youngest Age Allowed To Play Airsoft Guns? In some states, children as young as nine are allowed to play the game, but only at their own premises (with neighbors’ consent), and in games that are just really for fun. There are no strategies involved and the game is played as simple and as straightforward as possible. At What Age Can You Be Allowed To Compete? Airsoft wars are best played in playing fields or arenas. In these places, small kids are not allowed. They cannot keep up with the pace of the game in this environment. War games in these places are best played by those who are old enough to play skirmishes and battles. The starting age of kids that will be allowed to compete in these arenas is about 13. However, the age limit will depend on the regulations of the local playing field. Some places may put their limit at age 13 while others have it at age 18. If you really want to play in a certain field, just ask the staff and you will be given the right information. Or you can just Google the playing fields in your local area. There should be some information on their websites regarding their age requirements. What Is The Age Limit For Buying Airsoft Guns? You don’t have to own an airsoft gun to play in an arena because they are available for rent in these places. But if you want to own an airsoft gun, you should be at least 18 years old before any store can sell you one. You can buy them at retail shops or online stores. What Is The Age Limit For Playing Airsoft Wars? In Canada, you have to be at least 18 years old before you are allowed to participate in airsoft wars. But in Texas, even if you are only 13 years old, you may be allowed to participate and join a team that will fight against another team. Where Are You Allowed To Play Airsoft Wars? You are not allowed to play airsoft wars in private properties such as your backyard garden. 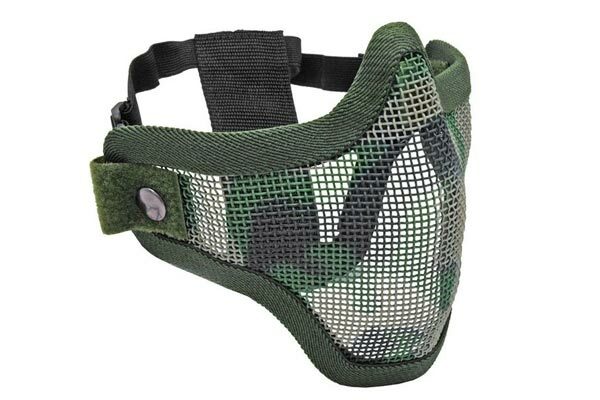 Airsoft wars are only permitted in authorized playing fields. This regulation is specified in The Health and Safety Act of 1998, specifically Article 16. This law states that airsoft organizations, companies, and non-affiliated users are allowed to engage in conflict using airsoft weapons only on public grounds. The premises on your own property is considered private, therefore you are not allowed to play airsoft wars there. The law also prescribes that is it compulsory that airsoft wars should only be played in ranges that are reserved for this type of sports, open fields, large parks with only a few people who are concentrated in an area, and in your own garden if you have your neighbors’ consent. There are laws in certain places which state that for teenagers to be allowed to play airsoft wars in arenas, their parents or guardians should be there playing with them side by side. In other areas, the playing field may also require the parent or guardian to be vetted by the local ASC community. It seems that the laws are there not to prove the maturity of airsoft war players. The laws were prescribed as a matter of liability and legality, and not for maturity. It appears that there are still no insurance papers or waivers as far as airsoft claims are concerned, unlike paintball. Airsoft wars, some dads think, are good for bonding with their sons. In an airsoft forum, a dad claims that he and his sons were having a good time playing airsoft wars and that he just wanted to share this with his friends at the forum. This particular dad believes that playing these games is a fun way to spend quality time with his sons. He has been playing with his son and stepson who are both 11 years old. They have been shooting airsoft guns for two consecutive Sundays. Should You Allow Your Kids To Play Airsoft Wars? Yes, airsoft guns are like real-life guns. But according to Airsoftking.com, you need not be alarmed. As long as you follow the rules and be concerned about safety at all times, airsoft guns will be harmless. This website believes that airsoft wars are one of the safest sports you can play with your kids. Here is a video that will show you how kids can safely shoot airsoft guns. In this video, you will witness how airsoft guns are safely used by young kids. What To Wear While Playing Airsoft? 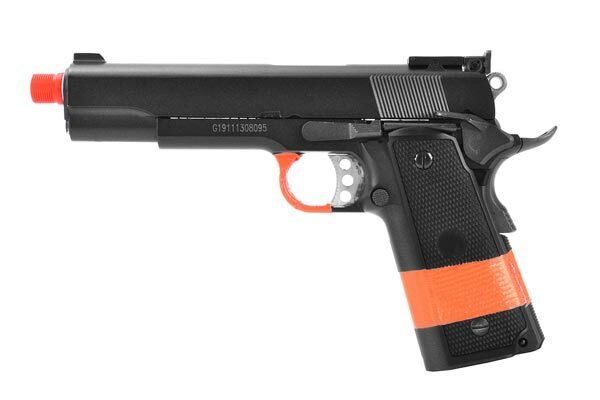 Why Do Airsoft Guns Have Orange Tips?